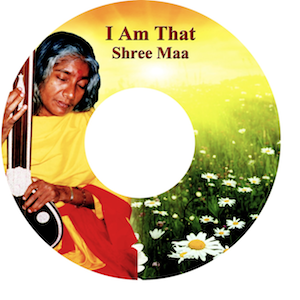 “I Am That” features Shree Maa singing songs mostly in English. The theme of many of these songs revolve around the inner dialogs between the mind and soul. As always, Shree Maa’s angelic voice illuminates the mind and stirs the heart of the listener, provoking an intuitive perception of inner peace. Shree Maa’s voice has an ability to touch me so deeply, I still don’t quite understand it. I am new to Hinduism and Sanskrit, and it is often difficult for me to get into the songs in other languages, so this CD is perfect since it is mostly sung in English. Thank you Shree Maa for making your Divine countenance available here in the West!